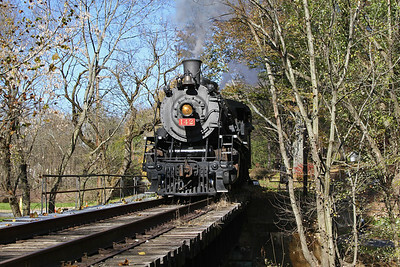 Photos from 2005 through 2011, featuring Chinese-built Mikado 2-8-2 steam locomotive #142 (built 1988) with freight and passenger trains on six miles of 1854-built ex-Bel-Del Railroad from Phillipsburg to Carpentersville, New Jersey. 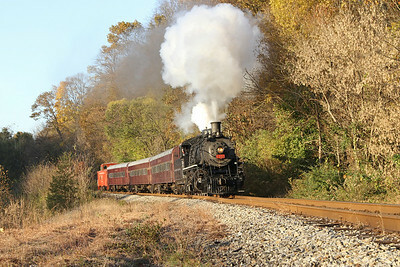 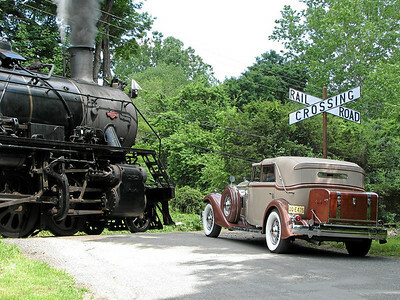 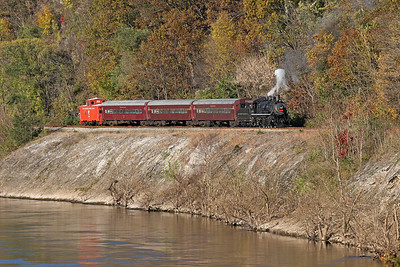 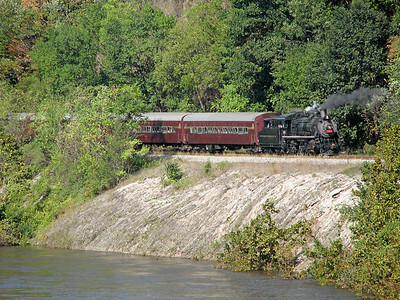 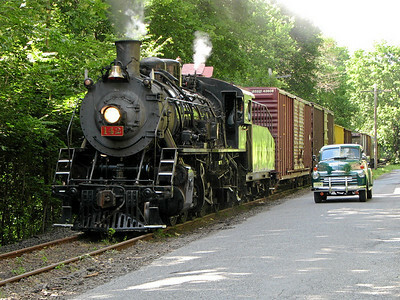 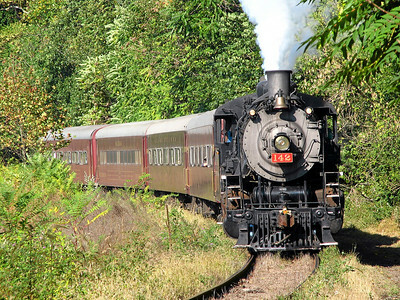 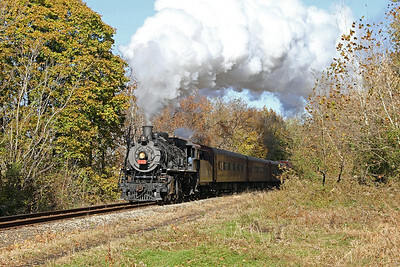 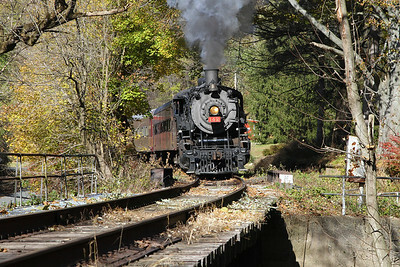 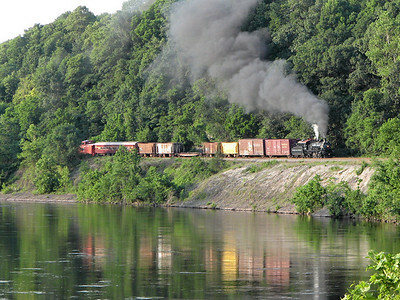 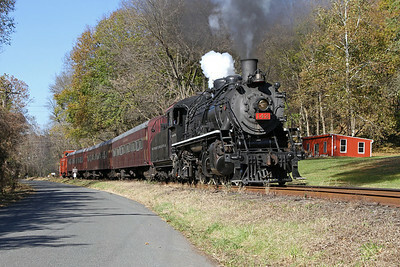 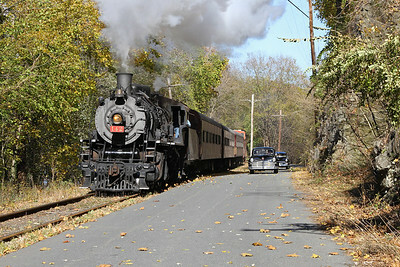 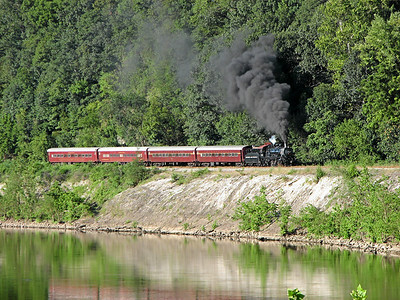 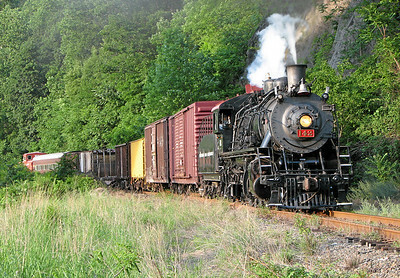 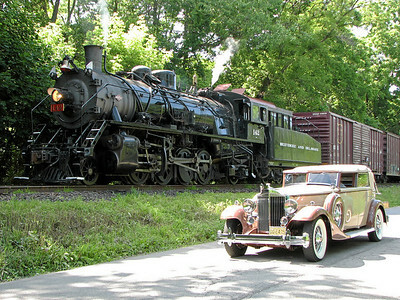 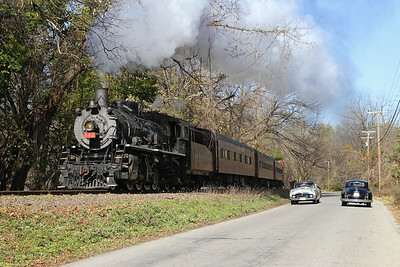 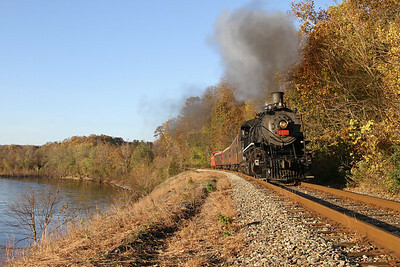 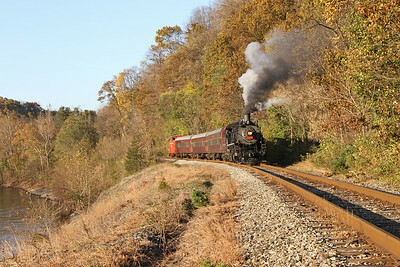 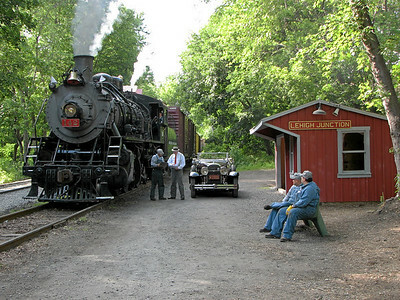 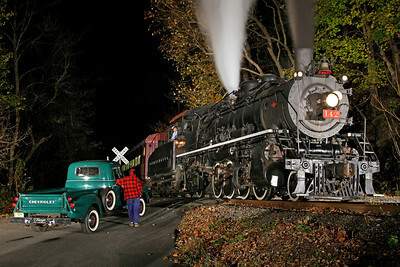 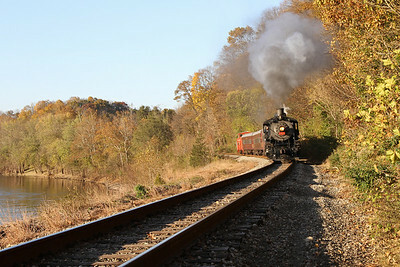 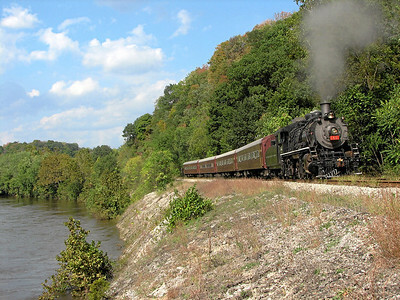 The New York Susquehanna & Western Technical & Historical Society has operated steam and diesel-powered tourist trains along the Delaware River from Phillipsburg since 2004, gradually restoring track south toward Riegelsville. 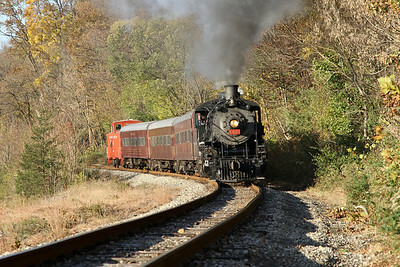 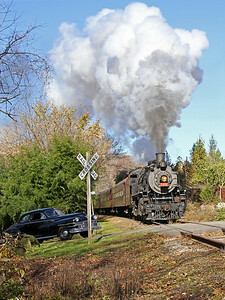 For train rides, visit the society's Official Website.